The Academy of Motion Picture Arts And Sciences just announced some changes for the coming Oscars season. Chief amongst these is naturally the continued tinkering with the Best Picture category. No longer will there be a fixed amount of nominees. Instead, any number between 5 and 10 can get in. The qualification factor is that a movie needs at least 5% of the first place votes in order to score a nomination. After switching things up two years ago and going with a field of 10 nominees for Best Picture, reactions were mixed. The main arguement from those who were against it seemed to be that it devalued the category. Too many movies would be able to call themselves BP nominees, making the distinction less… well, distinct. The Academy seems to have listened to these complaints as the new rules seem designed to ensure that nominees will have to earn their spots. No more filler nominees to round out the field. "According to my math, I'd have been snubbed." What would this have meant had it been implemented during the last two years? We can only speculate since the Academy never provides any figures about their votings (which isalso why predicting the BP nominees come January will be an absolute nightmare now). 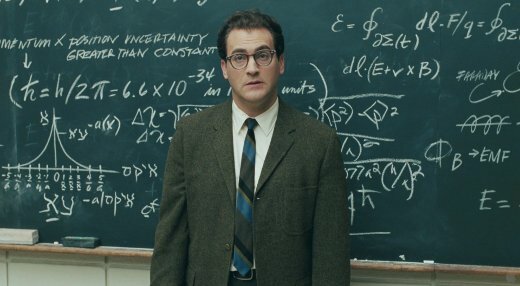 For the 2009 season, it did seem quite odd that A Serious Man and The Blind Side were up for Best Picture despite failing to get nominated in every other category but one each (Original Screenplay for the former, Best Actress for the latter), so those two would probably have missed out with this new system. An Education would have been in danger as well. Possibly little sci-fi flick District 9 too as it was a bit of a surprise to see it nominated at all, though it’s possible it would have the small-but-devoted fanbase necessary to score the 5% of the first place votes. A similar case could be made for indie darling Winter’s Bone most recently. 127 Hours could have had a hard time getting traction too. I liked the 10 nominee field. The good outweighed the bad in my mind as it helped bring more attention and awareness to smaller but deserving films like Winter’s Bone and An Education, films that would have had no hope in hell of getting nominated in years of 5 nominees. But at the same time, the mere fact that mediocre The Blind Side got nominated shows that it wasn’t an optimal solution. So this new change might be a step in the right direction. Rather than going with an arbitrary number that can either exclude the worthy or include the filler, it’s now more flexible. If a movie gets in, it’s because enough people loved it. Not because enough people loved it more than another movie to beat the cut-off mark. So call me optimistic about the new rules for now. I’m sure I’ll be cursing them enough once the Oscars season kicks in gear and I’m trying to figure out which movies will beat the 5% line, though. Hmm I find this very interesting. I did think that the BP field was so wide a varied last year. Which you would think would be a blessing but it all felt a bit much to me. I wonder if this new system will work in filtering out little films that although are fun do not really deserve a place there. Since the rules are based on the amount of first place votes a film gets, what I think will happen is that it will filter out movies that a lot of people “kind of like”. Films that everyone puts at spots 4 or 5 on their ballots. On the other hand, movies that are a bit divisive yet have a group of really passionate supporters can still make it in, since said supporters will give them their first place votes. It should lead to a more deserving and hopefully diverse field of nominees. The filler movies will be left out. Ideally. You never know how the Academy members think when they vote. It shall be interesting to see, at least.